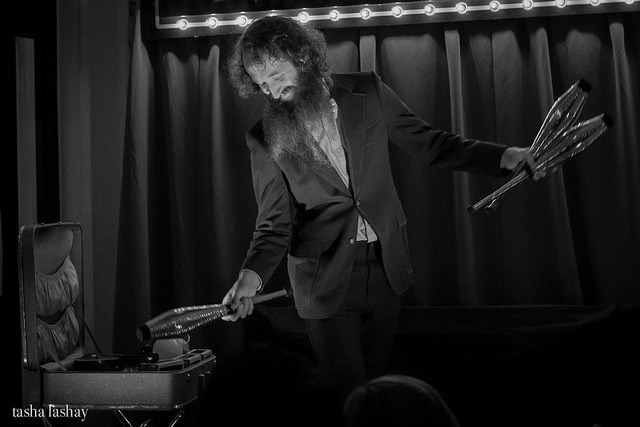 At only the age of 8, Will began juggling and by 10 years old he was professionally performing in the suburbs of Chicago; chauffeured around by his mother. 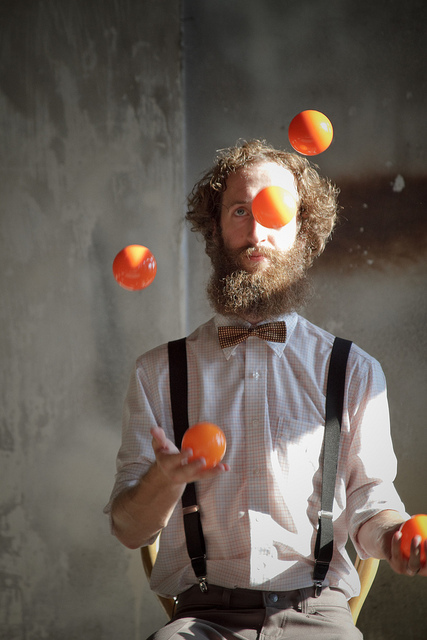 While in high school, he discovered other students that had the passion for juggling and formed a team called Entropy which placed third in the International Juggling Championships in 2005. The Entropy team also was awarded the Sean McKinney Award which honors the worlds best and creative jugglers. 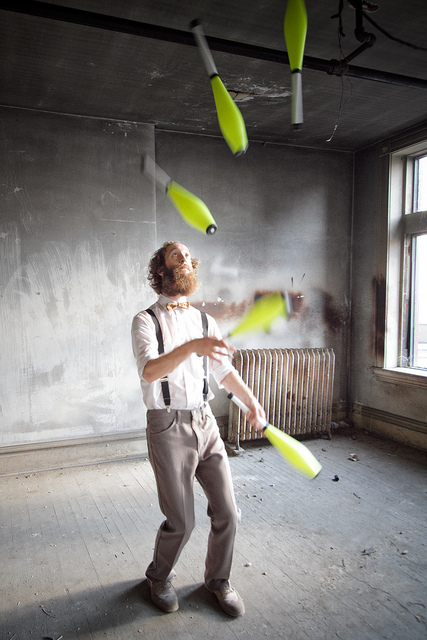 After the team disbanded, will continued his career in juggling and continues to wow audiences to this day including past U.S. Presidents. 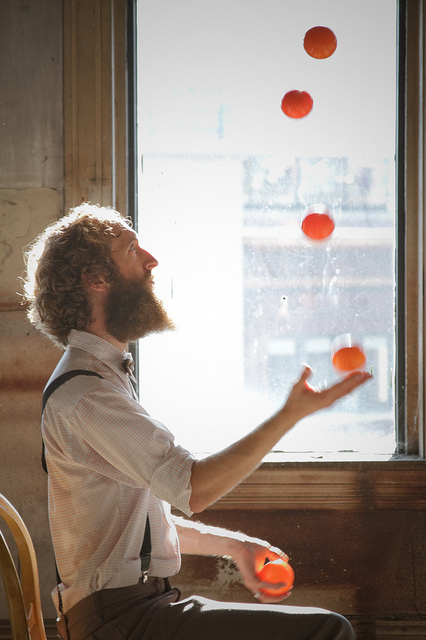 His dedication and passion for juggling has made Will one of the best jugglers in the country. 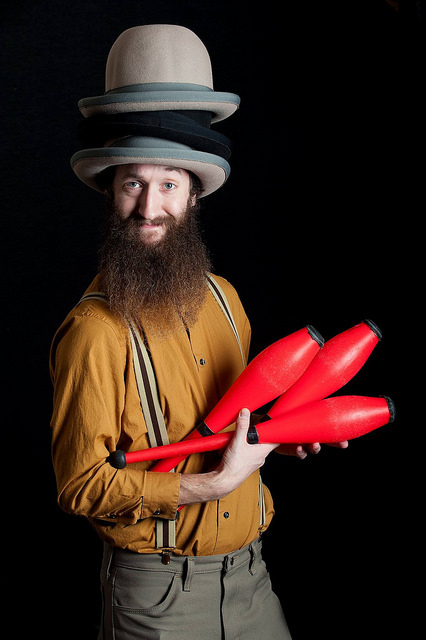 You will love his unique humor and be overcome with amazements as he juggles fire. Not to mention, the beard is pretty stellar too. Whether its a corporate event, festival or even a birthday party, Will can (and Will) cater to the needs of your audience making sure to leave them all in awe!